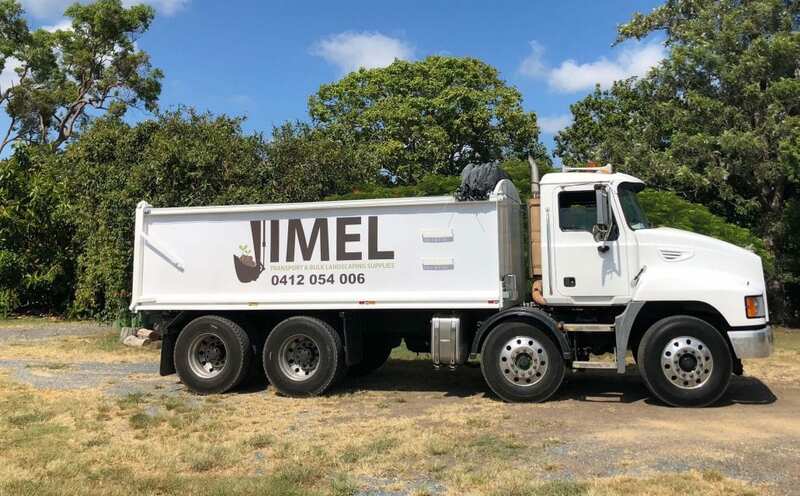 Jimel Transport has three Trucks available for Truck Hire. Each Truck comes with very experienced drivers offering the peace of mind that your Landscaping supplies are delivered on time and dropped off exactly where you need it. Truck & Dog which is capable of loading up to 32.5 tonnes of material or 41 metres of a bulk product such as mulch. Steel Body Truck (Tandem) is very versatile truck which can load concrete, Rock and other large material. Capable of loading 13.5 tonnes. Alloy Body Truck (Tandem) which is capable of loading up to 12.5 tonnes of Sand, Soil & Gravel. Truck Hire is available from Bulk Landscape Supplies Brisbane. If you have a project that requires Truck Hire our experienced drivers are ready to get the job done right on time and on budget. Get in touch for a quick chat and pricing by our friendly and professional team. Our Minimum Loads are 10m3. We can do smaller loads for our regular and local customers when trucks become available. For those large Jobs, we run Multiple Trucks to bring in you as much material as your need, and we do this as fast as you need. We supply and deliver to the greater Brisbane suburbs including Gold Coast, Ipswich and Pine Rivers. All Southern Moreton Bay Islands, eg. Macleay Island, Karragarra Island, Russell Island & Lamb Island. Please call us for a quote if you have a project outside these areas. If you need a cost-effective, professional, reliable & friendly service, Bulk Landscape Supplies Brisbane trucks are for you. Or we can Call You back? Simply drop your details below and Our friendly staff member will get back to you as soon as possible.